The 2013 season finally ended and our favorite pro-players are off spreading the gospel of tennis to the masses south of the border. Indeed, many pros have headed to the Caribbean and South America to spread the love of the game. Check back next week when a couple key exhibitions take place in the USA. Sorana Cirstea and Ana Ivanovic having fun in the sun. Pretty Girl Invitational? Rafael Nadal, Richard Branson and Boris Becker. 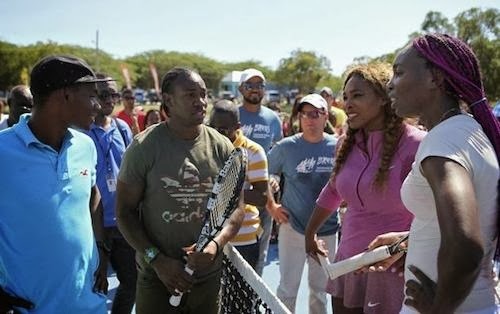 Who would win a foot race - Venus & Serena or Jamaican Olympians Warren Weir & Yohan Blake. 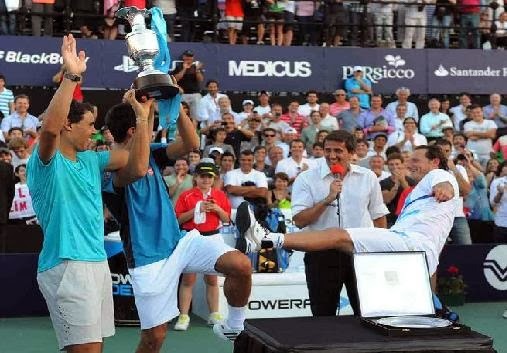 Novak Djokovic and Rafael Nadal joined forces to send David Nalbandian out in style. Where was Juan Martin del Potro during these festivities? Oh yeah - there's some bad blood there between he and Nalbandian. 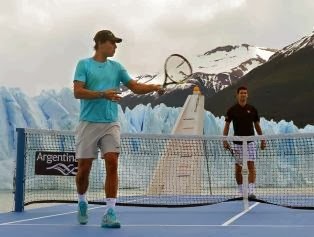 This is one of the coolest pictures - Nadal and Djokovic playing tennis on a barge surrounded by glaciers. Hope the barge was heated - looks cold! David's not going out with a fight! 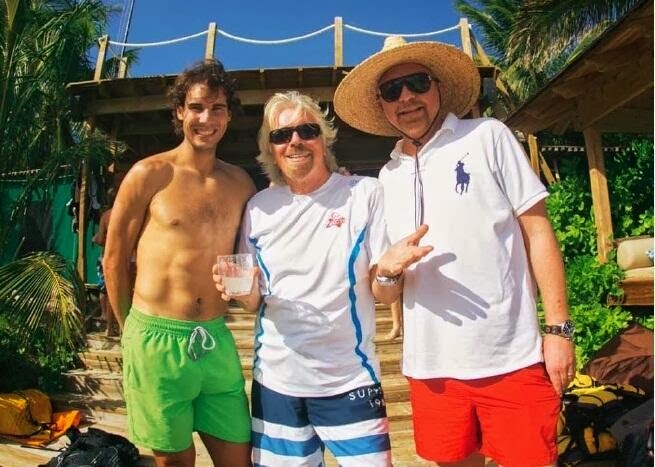 Here's to Novak and Rafa being good sports.